The Rothko Chapel is an interfaith sanctuary formed around 14 monumental canvases by the artist Mark Rothko. 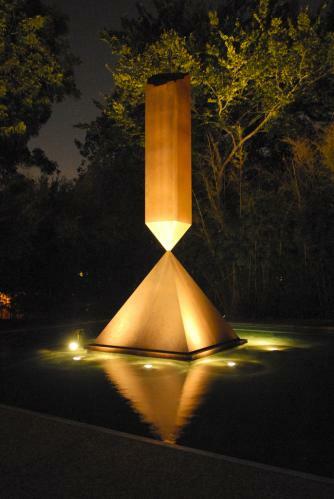 Situated in the heart of the museum district in Houston the Rothko Chapel is an independent institution; a sacred place open to all people, every day. Discover why this sublime, meditative space offers such an extraordinary transcendental experience. 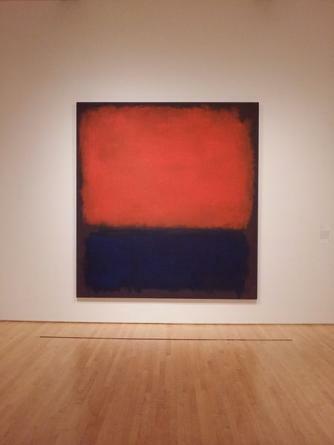 Mark Rothko is unquestionably one of the most influential and important American artists of the mid 20th century. He is generally classified as an abstract expressionist along with contemporaries Willem de Kooning and Jackson Pollock; although Rothko himself refused this label and even went as far as to reject the label of ‘abstract painter’. 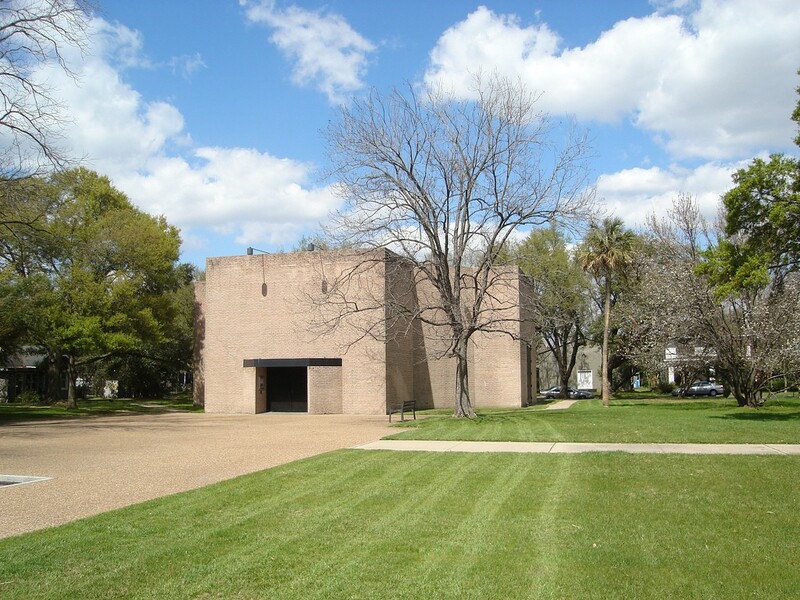 The Rothko Chapel, which celebrates his works, was conceived in 1964 as a multi-functional museum, chapel and a forum. The mission statement of the institute declares that its objective is to “inspire people to action through art and contemplation, to nurture reverence for the highest aspirations of humanity, and to provide a forum for global concerns.” Entrance to the building is free (donations are greatly accepted), and it is accessible to people from all walks of life every single day of the year. It has become a pilgrimage stop for thousands of visitors who are entranced by both its importance as an artistic masterpiece, but also as a contemplative environment for people of all religious beliefs. Mark Rothko once said that ‘a painting is not about an experience. It is an experience.’ This germ of an idea flourished into one of the most remarkable buildings in the world. 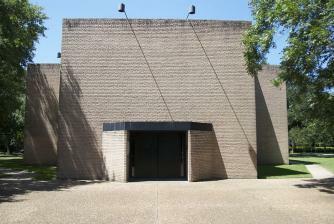 The notion of this special space first began with Houston philanthropists John and Dominique de Menil in 1964 who initially desired a Catholic chapel, which would be affiliated with the University of St. Thomas. Commissioned by the de Menils in the fall of that year, Mark Rothko began work on a series of paintings for the future University of St. Thomas chapel. Architect Philip Johnson (whose past works had included the de Menils’ personal home and the University’s campus) began designing the Chapel in consultation with Rothko. The artist and architect were continually at odds over their distinct ideas for the building, with Rothko objecting to the monumentality of Johnson’s plan as distracting from the artworks. Johnson finally withdrew from the project and in 1967 handed it over to Howard Barnstone, the supervising architect and his partner Eugene Aubry, who developed the design in accordance with Rothko’s specific wishes. Rothko requested a one-story, flat-roofed, simple brick-exterior building — entirely different from Johnson’s idea of a pyramid shaped building in white-stucco style. 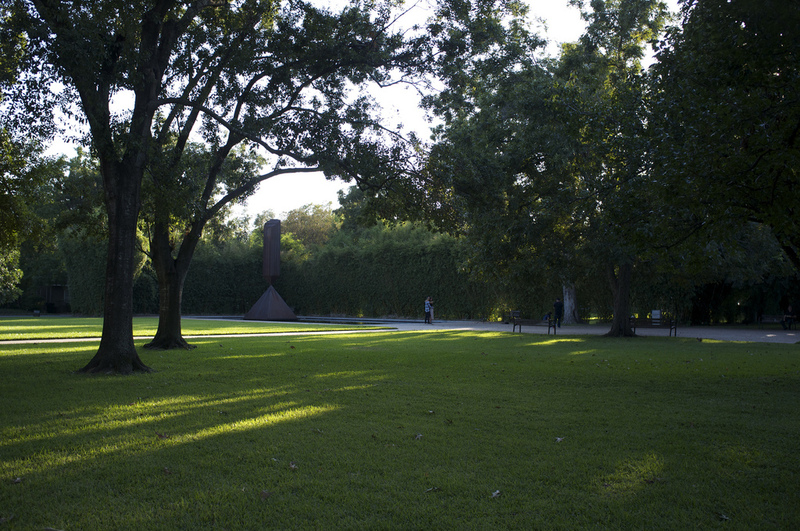 Oak trees surround the Chapel, located next to a reflecting pool and the distinctive sculpture by friend and contemporary artist Barnett Newman entitled Broken Obelisk (1963-1967). The Chapel is irregularly octagonal in plan, with four wider principal walls alternating with four secondary walls, and with a recessed floor and rectangular apse. Rothko’s careful configuration of the seven black canvases and seven plum-colored canvases meant that one painting adorns each diagonal wall and south wall, whilst a triptych of paintings sitting on each north, west and east walls. As it turned out, the Chapel and the paintings within it were Rothko’s final artistic statement to the world. Mark Rothko committed suicide a year before the Chapel’s opening on the 25th February 1970, aged 66. He had ingested an overdose of barbiturates and slashed arteries in his arms. Found by his assistant in Rothko’s New York City studio, the artist had been suffering from depression and had also been diagnosed with a mild aortic aneurysm. Mark Rothko never saw the completed Chapel and never installed the paintings; because he died before the building’s construction, many corrections and alterations have been made to the building throughout the years in keeping with his particular requests. The Chapel also underwent an extensive $1.8 million 18-month restoration at the beginning of 1999, overseen by McReynolds Architects of Houston. Every improvement has adhered and honored Rothko’s wishes, right down to the gray as opposed to white walls in order to create subtlety rather than contrast. To be able to control the context in which his works were shown was of extreme importance to Rothko. The artist is quoted as saying that anything else “distorts their meaning… since the pictures are intimate and intense, and are the opposite of what is decorative and have been painted in a scale or normal living rather than an institutional scale.” The actual paintings that hang within the Rothko Chapel took less time to create than the actual planning involved. The artist made a model of three of the chapel’s interior walls in his Manhattan studio, and measured everything in his paintings to the fraction of an inch, controlling their exact placement on the walls. The Rothko Chapel blurs the lines and distinctions between architecture and art, challenging these definitions in its aesthetic effect. A duo of dichotomies is present within the space — firstly, Johnson and Rothko’s attempted collaboration in its design and secondly, the origins of Catholic faith as opposed to the humanitarian approach preferred by Rothko. It is monumental as the only existing works by Rothko that resulted in a marked interplay between the building’s plan and the paintings. Shaping the setting for his pieces, the canvases were formulated with the space in mind; a complete and entire project driven wholly by the artist’s instincts. Mark Rothko’s two previously commissioned series, the 1958 murals, originally intended for the Four Seasons Restaurant in New York City, and the 1962 murals for the Holyoke Center at Harvard both ultimately went against the artist’s strong will. The murals placed in Harvard University were intended to create a complete spatial experience for a viewer. The conditions of the environment in which they were hung in, ironically lead to intense damage — tarring from stains, graffiti and severe color shifts from exposure to sunlight and instability in the artist’s materials. The second, more notorious commission occurred in 1958, when the beverage company Joseph Seagram and Sons asked Rothko to provide paintings for their new luxury restaurant The Four Seasons situated on Park Avenue. Rothko agreed and over the following months completed 40 paintings — three full series in dark red and brown. After traveling with his wife throughout Europe, upon his return to New York, Rothko visited the near-completed restaurant. Upset and distressed with the dining atmosphere, he considered it an unpleasant and pretentious environment in which to display his works. Unexpectedly and unprecedentedly, Rothko refused to continue with the project and returned his monetary advance to the Seagram and Sons Company. The final series of Seagram Murals was dispersed and now hangs in three separate locations: London’s Tate Modern, Japan’s Kawamura Memorial Museum and the National Gallery of Art in Washington, D.C. 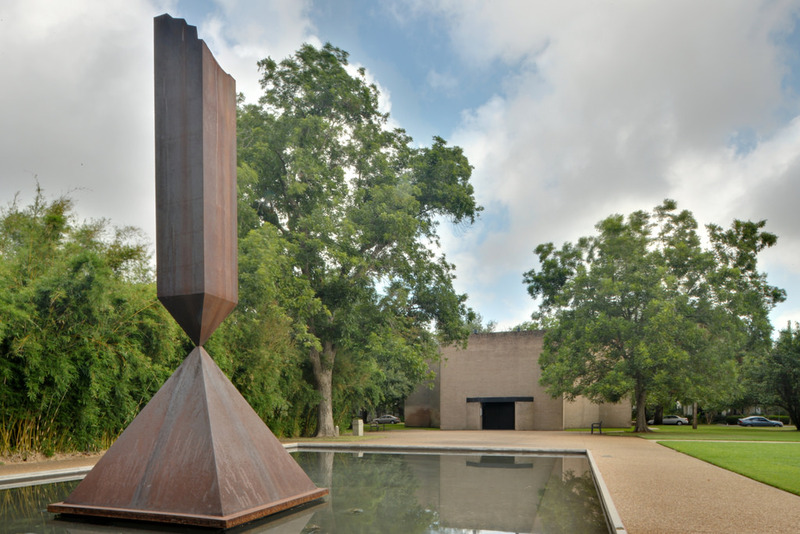 This synergy between art and architecture as representative of artistic endeavor is perhaps what makes The Rothko Chapel such a crucial example of creative achievement. A tangible, functioning building with the purpose of providing a space in which human beings are singularly permitted to contemplate and meditate with no restrictions upon religious belief. These triumphs have not gone unnoticed — the Chapel regularly makes top ten lists of places to visit and is a featured entry in National Geographic’s book Sacred Places of a Lifetime: 500 of the World’s Most Peaceful and Powerful Destinations (2009). In 2011 the Chapel celebrated its 40th anniversary, having achieved in those years recognition as one of the greatest artistic achievements of the second half of the 20th century. It could even be said that The Rothko Chapel is one of the best examples of the whole artistic movement of modernism. Rejecting the traditional forms of the past in the model of a religious church, the nondenominational chapel is alive with the universal ceremony of human contemplation. It is a place that celebrates faith of all kinds, rallying in the progress for peace, freedom and social justice throughout the world.